From the pounding pain to the nausea and sensitivity to lights and sounds, a migraine can ruin your day. It’s hard to stay focused on your job or help your kids with homework when all you want to do is take a nap in a dark room. If you feel the same way, it’s time to take back your life. We chatted with experts who shared some surprising causes and triggers of migraines and recommended treatment tips that really work. Although regular headaches are painful, a migraine is different, explains neurologist Dr. Anjan Chatterjee. 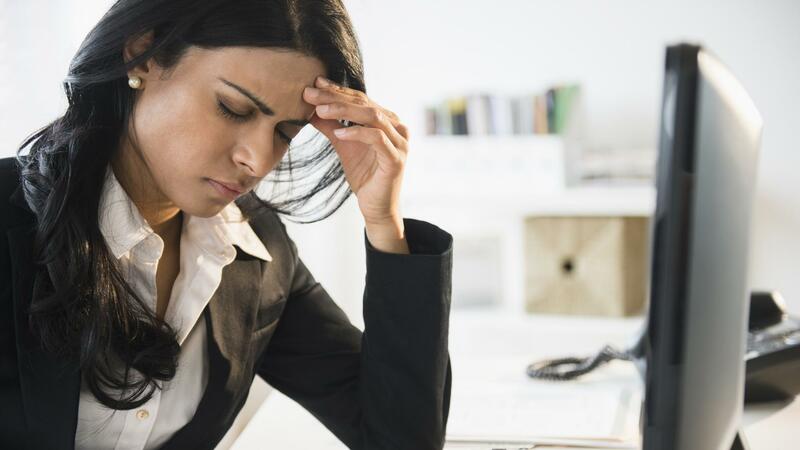 “It is not completely known what causes migraine pain, but genetics, food triggers, stress, hormonal changes, changes in environment and even some medications may play a role,” says Dr. Chatterjee. Of those migraine sufferers surveyed, 85 percent are still searching for better ways to treat their migraines. Although you may not be able to get rid of them completely, there are ways to decrease their frequency or the duration. Identify your migraine triggers with the help of your doctor and a journal. Take medication at the first sign of a migraine. “Medication is most effective when it is taken at the first sign a migraine,” says Peterson, who stresses you should first see a doctor for a diagnosis before taking migraine medication. Neurologist and headache specialist Dr. Randolph W. Evans says over-the-counter medications, such as those with an aspirin-acetaminophen-caffeine combination work well for many migraine sufferers. Know that there are other treatment options: According to Dr. Peterson, medicine isn’t your only option when dealing with a migraine. She recommends migraine sufferers try ice, relaxation techniques and sleep. “These may be helpful in stopping an attack once it has started,” she explained. Look into food triggers: “For some, migraines appear to be triggered by certain foods,” said Peterson. Some of the biggest offenders are alcohol (especially beer and red wine), aged cheeses, chocolate and artificial sweeteners.